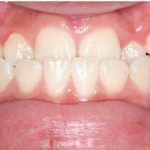 Crooked teeth can develop very early in childhood, but surprisingly few children will benefit from orthodontic treatment before all the adult teeth have grown through. 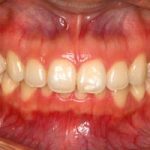 However, early treatment is important for a limited number of specific conditions to prevent damage to the adult teeth or to limit the effects of a developing growth problem. One of our guiding principles at North Sydney Orthodontics is to keep the amount of treatment required to produce a great smile to an absolute minimum. 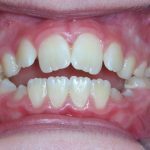 We only recommend orthodontic treatment for children that we believe has a definite benefit, and if the problem can wait until the adult dentition is established without damaging the health or function of the dentition, then that is what we recommend. 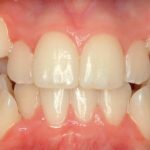 When Should Orthodontic Treatment Start? 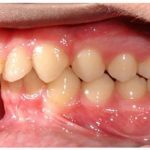 The American Association of Orthodontists recommends a first assessment by an orthodontist around the age of 6-7 years, because this is the age when the first set of the adult teeth typically appear and when some of the more important problems of dental development can require treatment. 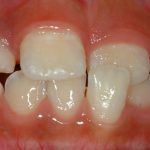 Treatment for young children is usually aimed at dealing with functional problems that immediately threaten the health of the teeth. 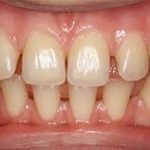 Braces for young children usually lasts less than 1 year, and may shorten or simplify definitive orthodontic treatment later on but will result in a longer treatment time in total. 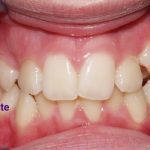 The conditions that we treat in early childhood are problems of tooth eruption, teeth biting the wrong way round (crossbite), overcrowding, jaw growth problems, snoring, thumb sucking, tongue thrust and open bite.